Select Marketplace from the left menu. Select 8x8 Contact Center from the list. 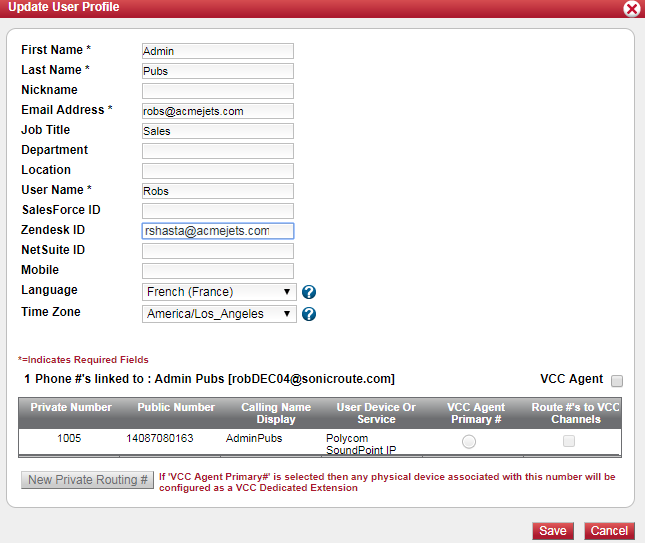 At the prompt, enter your Virtual Contact Center tenant URL, such as <vcc-na8.8x8.com>. 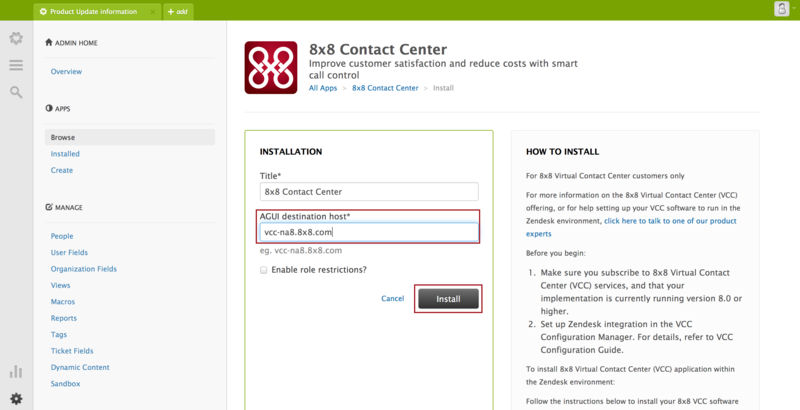 Once the application is installed, the 8x8 Contact Center application icon appears in the header bar. In Zendesk, click in the bottom-left corner of the page. 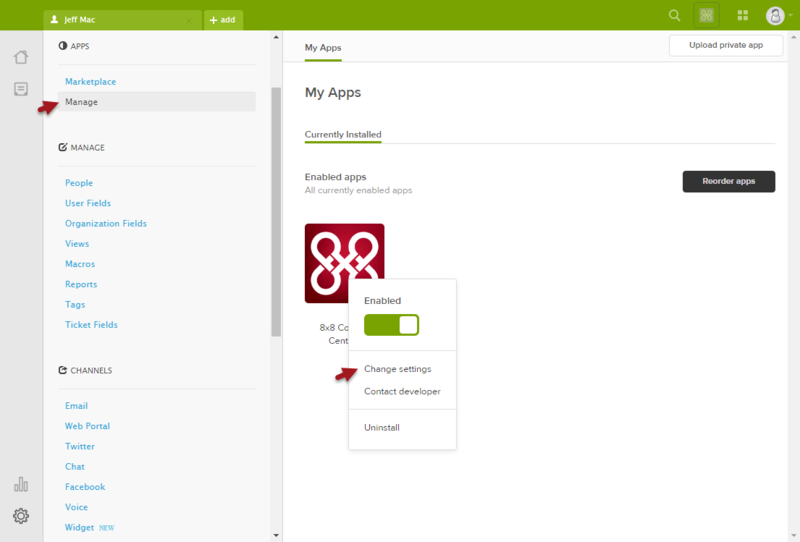 Select Manage from the left menu to open the My Apps page. Click Settings in the 8x8 Contact Center app. Select Change Settings from the menu. 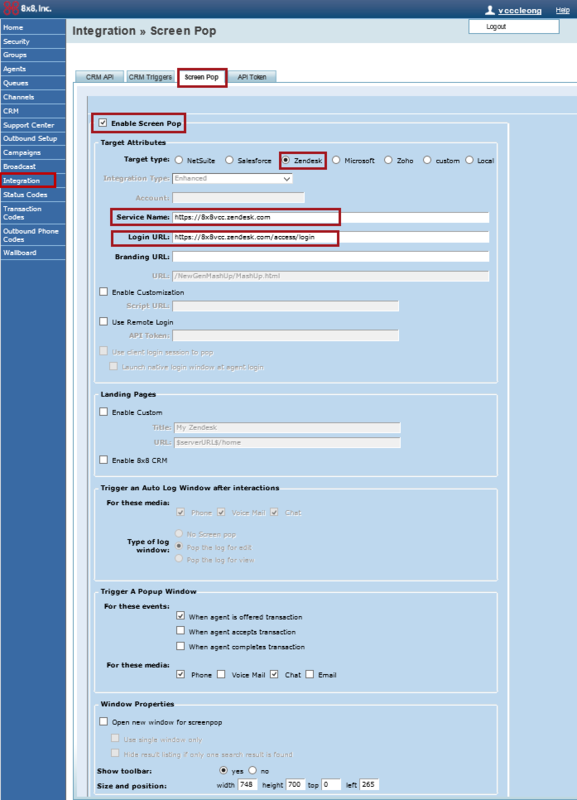 Enter your Virtual Contact Center tenant URL for AGUI destination host. Enter your Tenant’s name for Single Sign-On to be enabled. Note: If you do not provide a tenant name, Single Sign-On is disabled, and Individual System Sign-On is used instead. 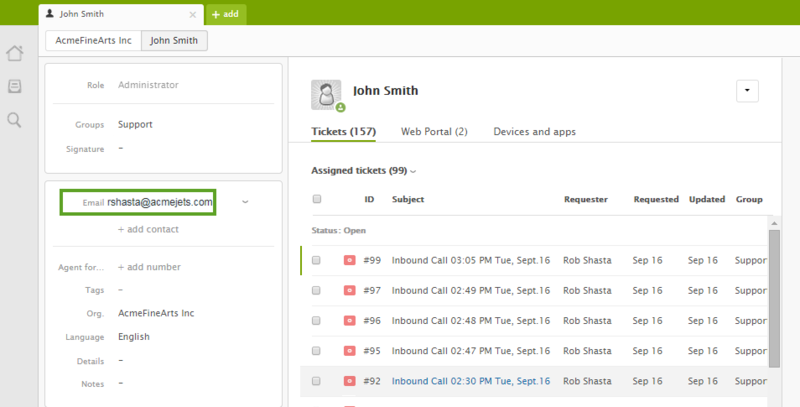 Virtual Contact Center asks for your credentials every time you log in to Zendesk. 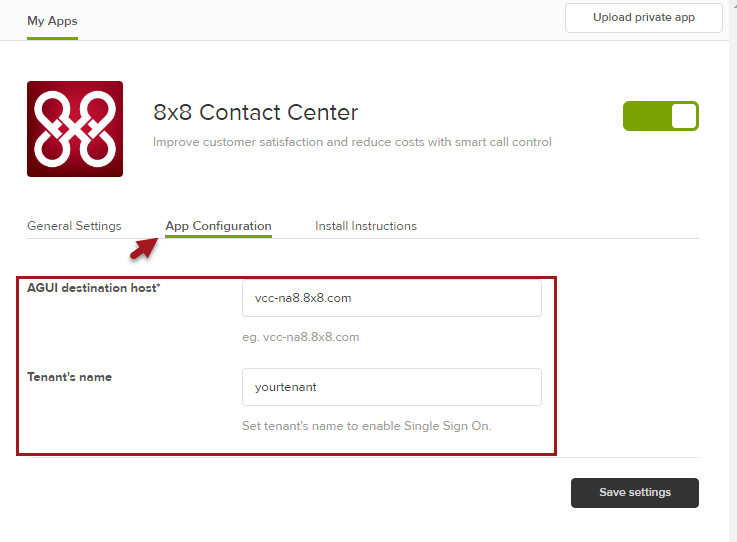 For Zendesk users to log in to 8x8 Virtual Call Center, you must create an agent account in Configuration Manager. You must them link the agent account to the Zendesk user account with the same email address. 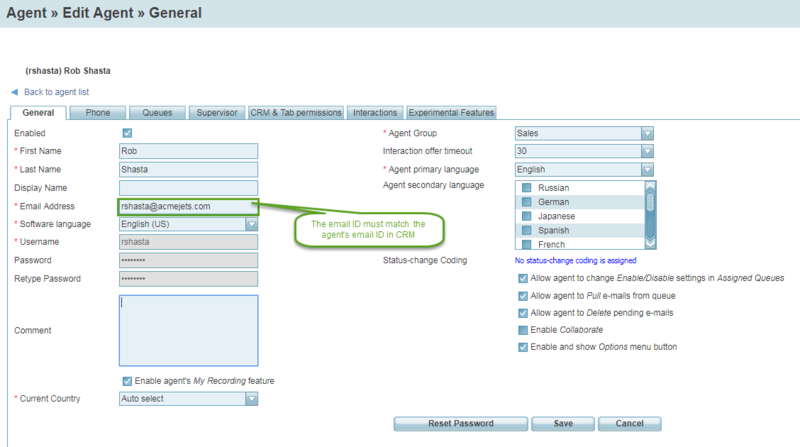 See Create Agent Accounts in Virtual Contact Center for more information. Before you start, in Zendesk, click Profile, and locate the agent’s email address. Go to the Agents or Users tab to create a new agent for Zendesk, or use an existing account. In the General tab, make sure the agent's email address matches the user's email address in Zendesk. Go to Accounts > User Profiles and edit the user profile of the prospective Zendesk user. Enter the Zendesk ID and click Save. Go to Home > Users and edit the user profile of the prospective Zendesk user. In the top-right corner of the Zendesk home screen, click . Click Login. The application launches, placing you on Break status. For details on agent status, refer to the Quick Start Guide. Change your status to Available or Work Offline.